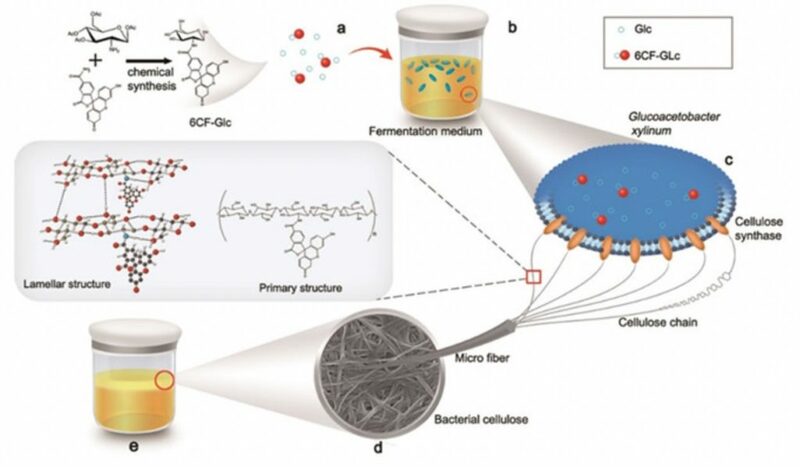 A research team led by XIAN Mo and ZHANG Haibo from the CAS Qingdao Institute of Bioenergy and Bioprocess Technology has developed a new method for the preparation of modified bacterial cellulose. Using the microorganism Komagataeibacter sucrofermentans, they prepared a functionalized nanobacterial cellulose, modified with 6-carboxyfluorescein, using 6-carboxyfluorescein-modified glucose as a substrate. The results keep promise that various substituents can be incorporated into cellulose by in-situ fermentation.